New research shows that the brain‘s neuroplasticity isn’t as flexible as previously thought. One of the brain’s mysteries is how exactly it reorganizes new #information as you learn new tasks. The standard to date was to test how neurons learned new behavior one #neuron at a time. Carnegie Mellon University and the University of Pittsburgh decided to try a different approach. They looked at the population of neurons to see how they worked together while #learning a new behavior. Studying the intracortical population activity in the primary motor cortex of rhesus macaques during short-term learning in a brain–computer interface (BCI) task, they were able to study the reorganization of population during learning. “In this experimental paradigm, we’re able to track all of the neurons that can lead to behavioral improvements and look at how they all change simultaneously,” says Steve Chase, an associate professor of biomedical engineering at Carnegie Mellon and the Center for the Neural Basis of Cognition. It is often challenging to learn new tasks quickly that require a high level of proficiency. Neural plasticity is even more constrained than previously thought as results of this research indicate. 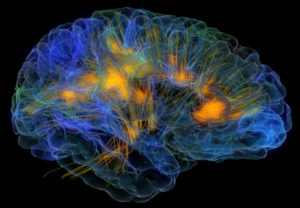 The research was done in collaboration with the Center for Neural Basis of Cognition, a cross university research and educational program between Carnegie Mellon and the University of Pittsburgh that leverages each institution’s strengths to investigate the #cognitive and neural mechanisms that give rise to biological intelligence and behavior.